The Bell Table by Sebastian Herkner turns our perceptual habits on their head, using the lightweight, fragile material of glass as base for a metal top that seems to float above it. Hand-blown in the traditional manner using a wooden mould, the transparent tinted glass base asserts a sculptural presence in space, contrasting intriguingly with the solid brass frame on top while also forming with it a harmonious unit recalling the elegant curving silhouette of a bell. With its appealing reflective surfaces and contrasting materials, the Side Table adds a distinctive touch to domestic interiors. It celebrates the beauty of the materials with their colours and surfaces, along with the virtues of hand-craftsmanship. 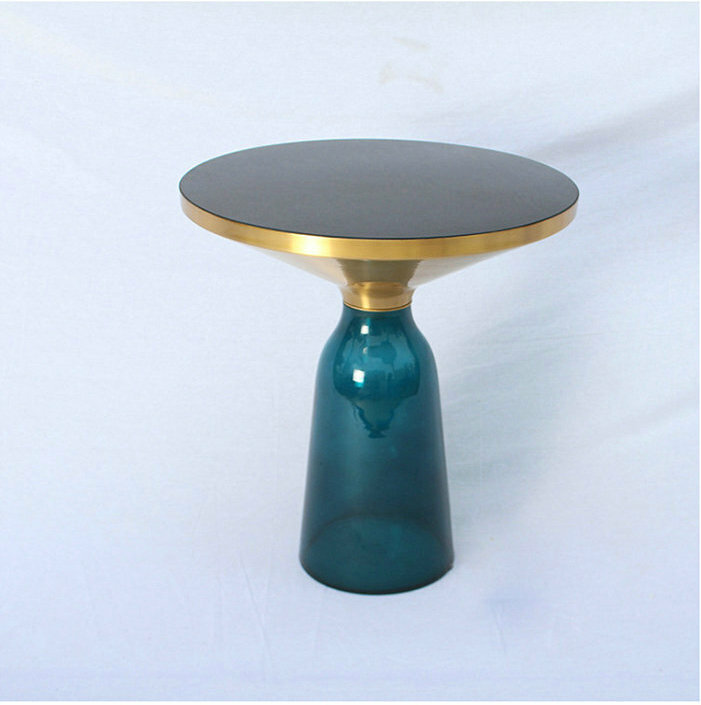 The Bell Table by Sebastian Herkner is a masterwork of traditional hand craftsmanship. 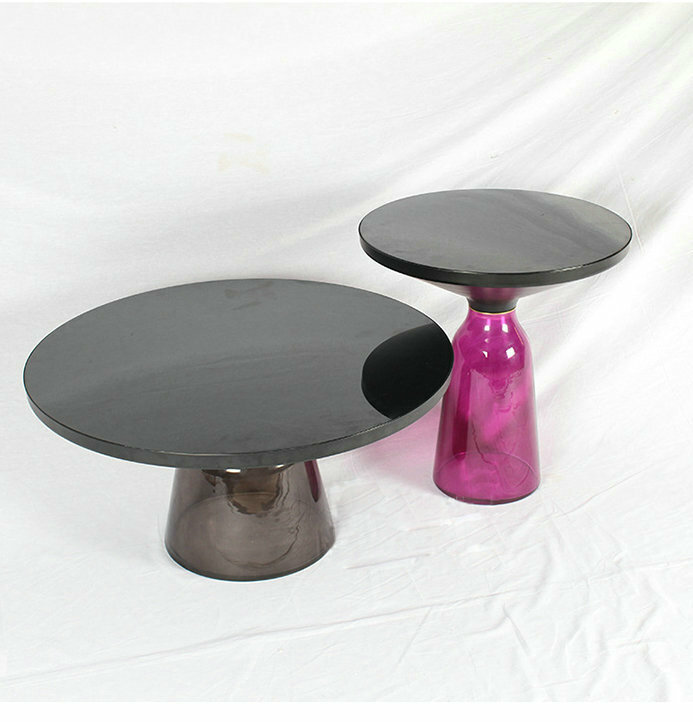 Each table is handmade, meaning that small bubbles or bumps in the glass are a characteristic feature. Yes, the price for each products is based on the quantity you need. What is your minimum order required? Our minimum order quantity is a 20 feet container,you can mix with different items.We can also arrange by loose order for our customers need. How long will it take to finish the production of my order? This depends on the size and complexity of the order. Please let us know the quantity and codes of the items so that we can advise a production time for your reference. Yes, we can supply samples of most items. If you require the samples to be sent by DHL, UPS, FedEx, etc., please ask your courier of choice to inform our warehouse after we prepare the samples. This will depend on the size of your shipment and the method of shipping. When inquiring about shipping charges, we would need such as the product codes and quantity, your favored method of shipping, (by air or by sea,) and your designated port or airport. We will then be able to advise on costs based on the information provided. We provide a half year for the products warranty to make sure our customers obtain good sales. Replacement Policy:As to customers we guarantee a half year after received the goods for any reason. In case that any defect item is found,please send us emails with specifics and pictures. 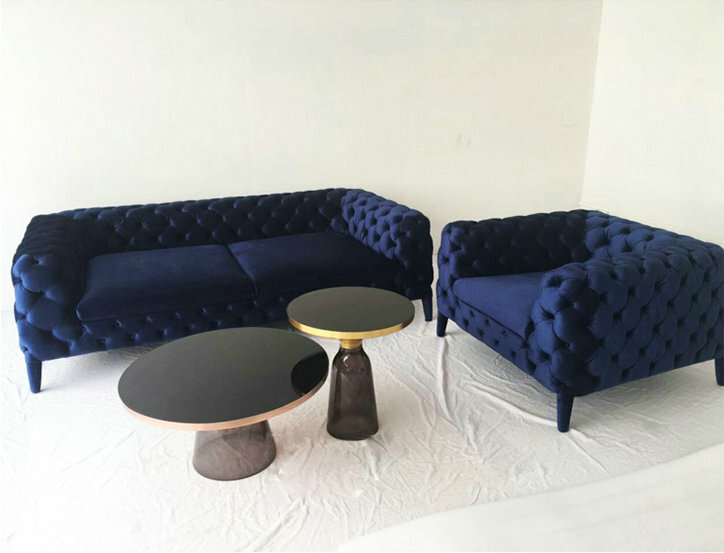 We will send replacement parts like the legs/arms/cushions to repair the furniture or make a new replacement in any coming orders. In another way we will solve as a discount or send a new piece to customers for free. Sure, you are welcome to visit us when you are in china.If you are in shenzhen,we can arrange the car to take you from anywhere. How do I know how my order is being manufactured? Our merchandise will follow up with the production after we get the deposit from our customers.After we finish all the goods,we have the QC to check all the details to ensure all the goods are in good condition.If you need the production pictures,we can send for your during the production time. Looking for ideal Bell Side Table Manufacturer & supplier ? We have a wide selection at great prices to help you get creative. 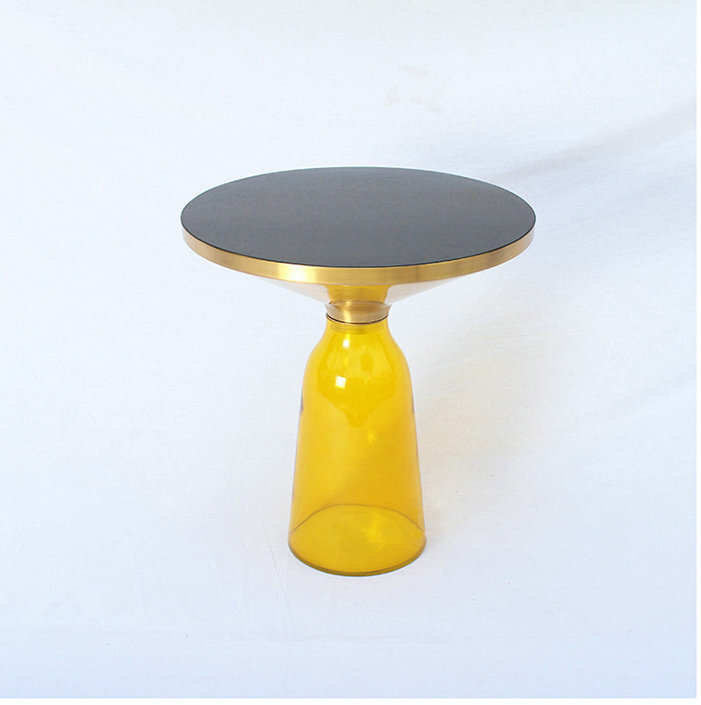 All the Bell Side Table by Sebastian Herkner are quality guaranteed. 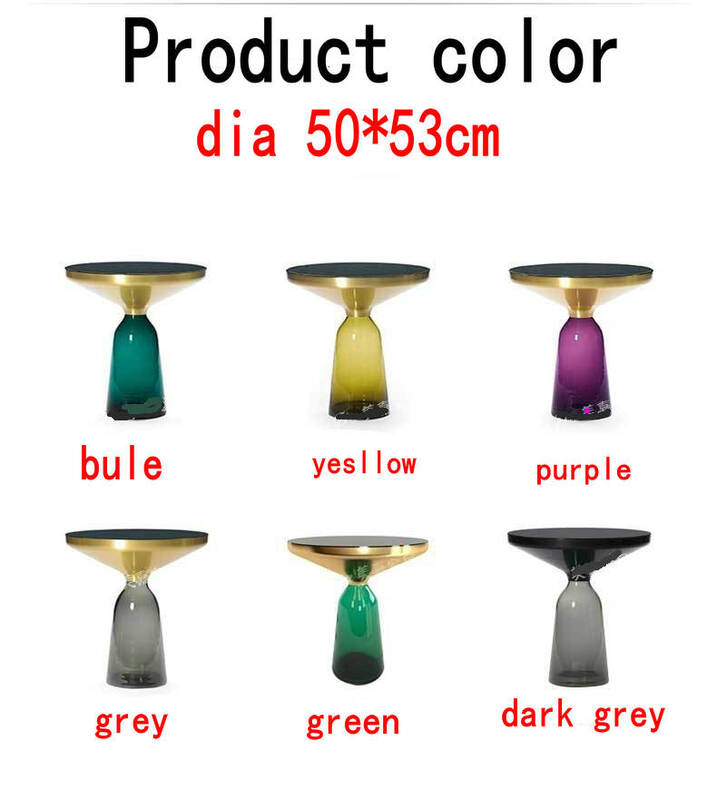 We are China Origin Factory of Toughened Glass Bell Table. If you have any question, please feel free to contact us. Copyright © 2019 Shenzhen Guang Disen Furniture co.,ltd All rights reserved.